CYBERPOWERPC is an award-winning global manufacturer of custom gaming PCs, gaming laptops, and performance workstations. With over 15 years of experience, CYBERPOWERPC is a leading innovator in the custom gaming computer industry. Our company features a constantly evolving product lineup to meet the needs and demands of the gaming market. All CYBERPOWERPC computers are assembled, tested and supported in the United States of America. Get the computing experience you deserve with the Gamer Ultra 2140. This system offers fantastic performance at a tremendous value. Featuring the powerful AMD FX-6300 hexa-core processor paired with the NVIDIA GeForce GT 720 discrete graphics card, this system has the power you need to handle tasks like multimedia playback, gaming and web browsing. 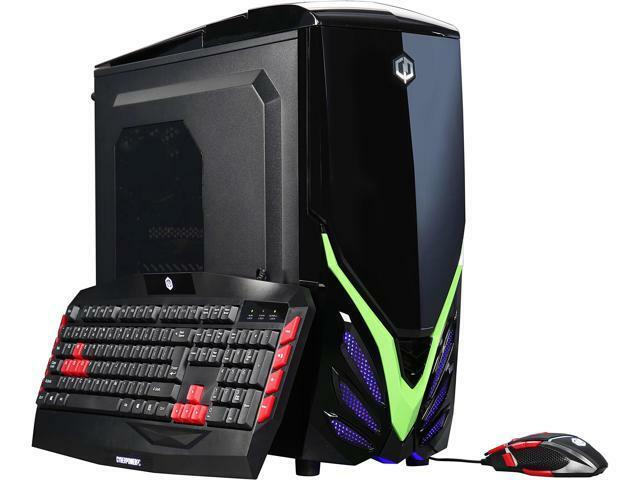 The CYBERPOWERPC Gamer Ultra 2140 is ready to be the center of your digital world. Gamers demand the most from their computers and require the utmost in performance and reliability. The professionals from Evil Geniuses, Complexity Gaming, and Team Coast trust only gaming PCs from CYBERPOWERPC when it comes to training for competitions day in and day out. Take it from the pros - our computers are the best choice for serious gamers! The CYBERPOWERPC Gamer Ultra 2140 is ready to take on anything thanks to the powerful AMD FX-6300 hexa-core processor. This CPU features blazing 3.5GHz speed and will automatically bump up to a maximum turbo clock speed of 4.1GHz when more performance is needed. Furthermore, this processor has an unlocked multiplier for precise performance tweaking. 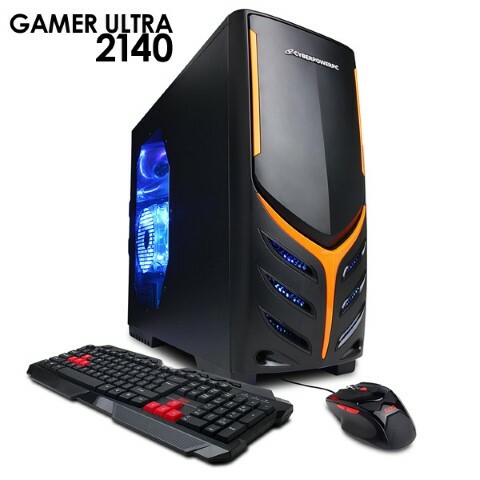 The CYBERPOWERPC Gamer Ultra 2140 is ready for system intensive tasks such as multitasking and HD video playback. Don't let integrated graphics hold you back. Get a superior multimedia experience with the NVIDIA GeForce GT 720 discrete graphics card. The GeForce GT 720 was designed to provide optimum graphic performance at maximum efficiency. 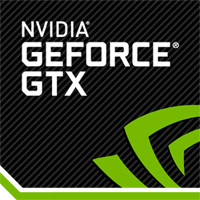 This card is compatible with the latest technologies, including DirectX 11 and PhysX. The GT 720 has multi-monitor support to increase your productivity by extending your desktop space. 20.00" x 9.00" x 20.00"
We are deeply sorry to hear of your experience. Please do not hesitate to email us directly as we want to look in to this matter further. Pros: When I purchased it, 2 years ago, it was a fairly good pc for the price. Or would have been had it come with the advertised components. Cons: Came with a 1gb GT720 gpu not a 730, and me being the noob I was at the time, I didn't catch it until about 5 months ago when I pulled the gpu out to use in a server. The led fan in the front of the case failed within 2 weeks. Other Thoughts: I wouldn't recommend any $500 or less pre built from Cyberpower. Overall the build quality and parts quality was not good. With that being said, you get what you pay for. These guys do well with higher end stuff, stay away from their cheap end. We're truly sorry to hear that you had an issue with this build. We always recommend contacting us as soon as an problems are experienced with one of our systems; as we can usually resolve the issue over the phone with you. Still, we wish you the best in your future PC purchasing experiences, whether they're with us or another retailer. Pros: A great and simple pc/build for beginners. Works for a long time. Pros: It works well, even if there are a few hiccups here and there. The mouse is amazing, no jitter and the multiple buttons with sensitivity options are great. The keyboard works very well, I'm glad to have the volume button for louder game on the keyboard. It was very easy to install and work with. Cons: The computer does sometimes work slowly, and with some games and apps takes up all the memory, but if you use it conservatively, it works very well. Other Thoughts: I would recommend this to people like me who are just jumping into the world of PC gaming. It is a nice computer for a good price. -Cool case that remains relatively clean and cool. Cons: -The computer fell apart when I tried to add a new power supply after the warranty expired. Power system snapped and nothing worked anymore. -Power supply that came with was a Venus, 500W, and was very barebones. Other Thoughts: -I liked the PC, but after seeing that the computer fell apart when trying to make simple changes I wish I had spent an extra 100 on something else. Pros: This was my first gaming PC that I bought and it works great. I've had it for 2 weeks now and nothing has gone wrong. Cons: The fans are really loud but when I swapped the graphics card it got a little quieter. Other Thoughts: Good for moderate gaming. Mostly if you like strategy games. Would upgrade the graphics card ASAP if you plan on planning much more than that. PC gamers that are out there and we consider a build such as this to be an entry level system. A build like this has a the room for upgrades if the owner ever wishes to do so. to get in touch with our support team for assistance; we're happy to help.